Active Manuka Honey contains many minerals, trace elements and vitamins and methylglyoxal (MGO) - a drug that is effective against antibiotic-resistant bacteria. Depending on the amount of water contained MGO it receives its name. 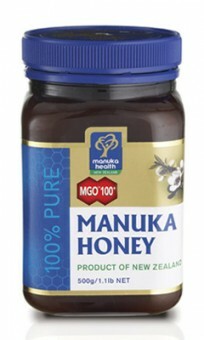 MGO 100 means that 100 mg contained in one kilogram of honey. The higher the number, the higher the concentration of MGO in honey as well as the efficiency of the honey.